From mid-December until the end of January, it is a tradition to send greetings to his entourage. In the professional world also show that you take care of your customers, your suppliers and your employees by sending them a message. 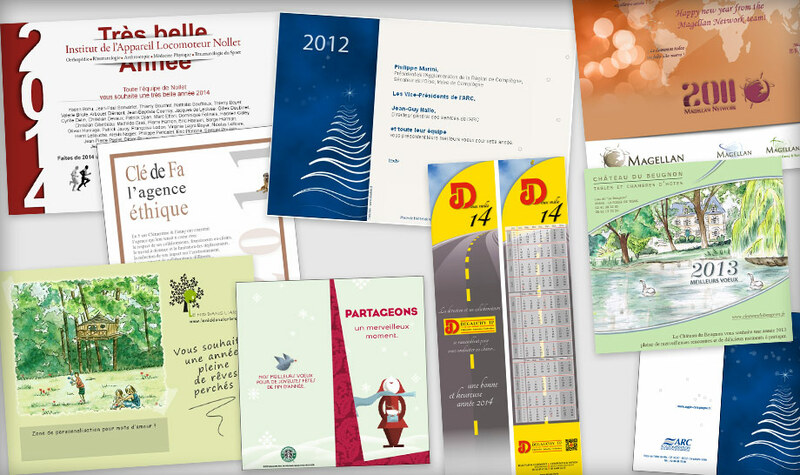 Clé de Fa Agency offers its expertise in this area and invites you to create a greeting card with your colors, your ideas, your ethics. The Clé de Fa team. Colors, shapes, graphism, impression... You take care of everything ! Classic and timeless, mark the new year with a original card ajusted to your colors. State your graphic on a unique creation, static or animated. Send this card to hundreds of contacts in the blink of an eye. Go further with this customizable electronic greeting card. Do you want to customize the note you send to your contacts? It is possible, give us your needs.